A few years ago, most people thought 50 was "old." In recent years, however, more and more people are coming to embrace their age. Aging gracefully is now the norm. Many soon to be 50-year olds look forward to being "over the hill," so they can celebrate the occasion. 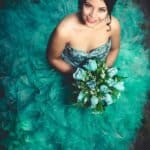 There are several great 50th birthday party themes to consider as the party host for the honoree. Have a spouse who loves golf? Why not try a favorite things party? For the marathon runner, hosts can prepare a party to celebrate their many accomplishments and marathons they've run. There's no need to start planning a funeral and choosing tombstones for someone just because they're 50. Unless, of course, you're preparing an over-the-hill themed party. Fifty is only a number, and some people will tell you that 50 is when life really starts. So, get the pen and paper out, and start planning for that significant milestone in a loved one's life. Prepare the guest list, start sending out invites, and get to a local or online party supply store. There's plenty to do, and many great 50th birthday party themes to choose from! The possibilities are nearly endless. There's no shortage of fun ideas when it comes to picking 50th birthday party themes as a party planner. Depending on the person's interests, party hosts can choose from several over-the-top or simple ideas. It is essential to consider the party-goers' interests as well. Doing this helps create a fun evening for the party recipient as well as all the guests who are in attendance. As the party host, some details are essential to planning a great party. The decorations, timing, and the element of surprise are a few of the critical components to consider. And, of course, it's essential to remember the food and drinks! 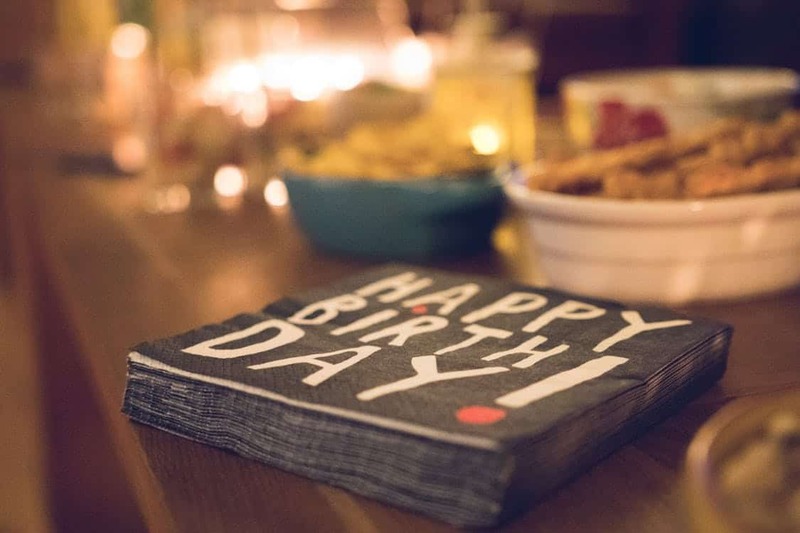 Having a few great 50th birthday party themes in mind will help you narrow things down and focus on what you really need. It also allows you to come up with fun ideas about how to create a captivating and eventful evening for party-goers. Without further ado, here are some of the best 50th birthday party themes to consider when party planning ensues. With a photo booth, fun times are sure to follow. And at a 50th birthday party, it's a great way to commemorate half a century of life! Of course, renting a photo booth is imperative as it is the central theme. Having the appropriate decorations and props in place will create an engaging and fun atmosphere for guests. Streamers and metallic fringe curtains to create a "grand entrance"
The more creative the party host is, the more fun guests and the birthday celebrant are going to have. Naturally, you'll have to worry about the food preparations as well. However, on this front, consider simplifying things. Rather than a sit-down dinner or fancy meal, decide to serve something more casual. Printable and edible food fondant cutouts are a great decorative piece and tasty sweet that both kids and adults will love. Having food takeout boxes on the tables with hor d'oeuvres and finger foods are also some fun ideas. A buffet style line or hiring a catering company to prepare food is also a possibility. Whatever you choose, make sure to work in a few dishes the guest of honor loves. Black and white is an excellent "coming of age" party idea. The color black signifies the passage of youth. What better time to commemorate that than at a 50th birthday party? And white perfectly balances that. It means the guest of honor is aging gracefully and transitioning to a new stage in life. For hosts trying to spice it up a bit, you can add a pop of color to the mix when choosing decorations. For example, bright red roses on the tables will add some life to the room. Incorporating a few red tablecloths with the black and white theme will also set things apart. The right foods are also important to consider when planning this black and white party. For something fun, black and white cake pops are a sweet treat. If kids are attending, they'll love these tasty treats. An Oreo cookie centerpiece would look great on the table. An all-white cake, with black lettering, adds to the theme when incorporating food choices too. Choose these striped paper straws for a fun way to make your drinks match your party colors. 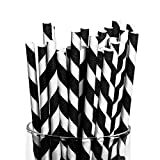 Fun for a black and white wedding theme, these straws will be a hit at your bar. Get creative with the drinks as well. White hot chocolate or black punch, are some tasty concoctions guests will love. It doesn't end with the food and drinks. Another twist to incorporate is to have guests wear black and white. For example, guests who are below 50 can wear white, and those 50 or older, can wear black. Or, hosts can have women wear white, and men wear all black (or vice versa). This idea is one of the classics when it comes to 50th birthday party themes. There are many ideas you can use for an over-the-hill party. You can throw a "mock" funeral, and use it to roast the birthday boy or girl. Hosting the party outdoors with a tombstone and other ceremonial decorations can add a lot of humor to the Big 5-0. Putting your own spin on it by having your guests give a eulogy. You could even throw a New Orleans Jazz-style funeral for a unique twist. With this theme, getting creative with the food and drink menu will also help liven up the party. For example, choose foods and drinks that fit the theme. Everyone wants people to take the time to get to know them. After many years of marriage, preparing a favorite things party for your spouse is a great way to celebrate them. This idea is one of the best 50th birthday party themes to show the person you love that you truly know them. Plus, it is a fun way to incorporate a few gifts into the mix. Of course, depending on the favorite things theme, the notes on these decorations will vary. However, there are sure to be plenty of items party hosts can utilize when decorating for the festivities. It's important to go all-out with the planning of a favorite things party. So don't stop with the decorations! Consider having guests wear clothing that relates to these favorite things. With the sports theme, guests can wear jerseys or T-shirts for the sport or team the guest of honor loves. For the foods, this is also going to revolve around what the guest of honor loves. If they love fancy, formal, sit-down dinners, hire caterers and have their favorite foods on the menu. Concoct a drink menu revolving around their favorite spirits and non-alcoholic drinks as well. Have snacks, finger foods, or a buffet ready for the date of the party. The options are endless and should strictly revolve around the favorite things theme to bring the party together. There's always that overachiever. There's the CEO who has led their company to the highest performance marks for 20 years straight. Or the marathon runner going on their 30th marathon at the age of 50. No matter what accomplishments the guest of honor has to their name, commemorate them on their big day. A quote book for guests to write messages/favorite quotes they share with the guest of honor. There are so many ways to go about choosing the right decorations for the 50th birthday party. Each party will differ significantly depending on the accomplishments you are celebrating. For a marathon runner, party hosts can have photos of finish lines and mile markers. For a top-executive, essential dates in their career are worth highlighting. Hosts must keep it fresh and relevant to the accolades and accomplishments of the person they are celebrating. 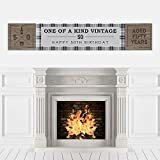 50th Milestone Birthday Banner is an impressive birthday decoration for your vintage party. SIZE: 50th Milestone birthday banner measures 1 foot by 5 feet. Here's another area which is going to differ at every 50th birthday party with the milestone theme. One party might incorporate a formal, sit-down dinner and serve the guest of honor's favorite meal. If it is a casual outdoor party, finger foods or barbecue are perfect for the menu. A buffet is simple and requires little planning apart from telling caterers what foods to add to the line. 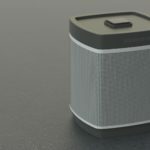 Keep things simple. Remember to keep the guest of honor in mind and choose foods and drinks they'll love. Add this information to the invitations you send out to guests. If it's a party for the marathon runner, have guests wear a prop like a headband or running shoes. Also include details about whether it is a formal party, sit-down dinner, or a casual event. Again, every party differs, so make sure these details are on the invitation, so guests know the appropriate attire. There are so many fun ways to celebrate a 50th birthday party. With several great 50th birthday party themes to choose from, every party host can come up with something fun. Just because they're 50, doesn't mean it has to be a somber event. Even with the over-the-hill theme, party hosts can make it a party to remember. The right music, guest list, decorations, menu, and drinks will result in an unbelievable party all the guests will love and remember. Start the planning early and send out the invitations. With the right party theme, creative party hosts can put together a 50th party no one will forget.